Sunday Night Team Trivia in Sherman Oaks aka The Valley! Looking for something to do in the Valley on a Sunday? 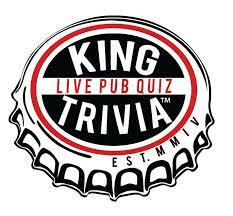 In particular do you want to hang out with friends, drink and tease your brain with trivia questions? Do you want to win prizes and bar tabs by using your brain to show us how smart you are? Well… Trivia is so busy on Wednesday, we added a second night of team trivia on Sunday! So if you are looking for something to do in the Valley on a Sunday night, look no further. Sunday night team trivia is so much fun! Start off your Sunday night or end your Sunday Funday here. It’s fun, with just enough random questions to give it the right amount of challenge. Teams play for $30, $20, and $10 bar tabs, plus give aways between rounds. Don’t miss out! Sunday night Karaoke starts right afterward so you can sing your little heart out. If you have a softball team, trivia team, soccer team, any team, just come down with them, trust me it’s so much fun! Hosted by your favorite guy on the mic, Andrew Sandoval.